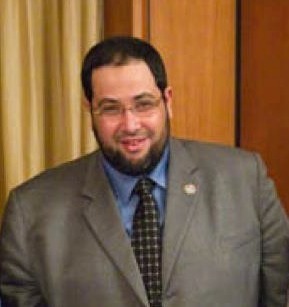 On July 3, 2013, the Egyptian military forcibly detained Khaled Al-Qazzaz, a father of 4 young children, Canadian-educated mechanical engineer, and former school principal. In the days after July 3, the Egyptian regime refused to acknowledge that it was holding Khaled or to confirm his whereabouts, putting him outside the protection of the law. Khaled’s father, Adly, was later kidnapped from his home in October. Adly Al-Qazzaz is also a teacher. Khaled spent his days and nights in solitary confinement in a cramped insect-infested cell slightly larger than a broom closet in one of Egypt’s most notorious prisons. Khaled's health has deteriorated due to the conditions of his detainment and is at risk of permanent paralysis if not provided with appropriate medical care immediately. Khaled Al-Qazzaz was released on January 12, 2015 but has been unable to return to Canada due to the processing time of travel documents. Toronto-born Sarah Attia, Khaled’s wife, has been calling on the Canadian and Egyptian governments and the international community to urgently assist in securing Khaled’s immediate return to Canada. Enough is enough. Free Khaled Al-Qazzaz now!